Garment manufacturers and consumers alike must protect their high value garments from a host of threats. Sun and bugs are the two most common threats to damage and/or ruin high value garments. For this reason, high-value garment manufacturers and consumers employ the use of polyethylene garment bags to seal and protect them during both the delivery and storage process. Using poly garment bags in Seekonk, MA is one of the safest and most cost-efficient manner when dealing with high-valued garments. When your investment comes at a high price, you will always make sure such is absolutely protected against anything that might cause it damage thereby lessening its supposed value. Did you know that simple dust or dirt can ruin a garment? Moths as you know can destroy fabric in short order. Not covering garments with polyethylene garment bags is like an accident waiting to happen. The plastic garment bags are usually made out of ultra-thin, low density polyethylene bags thereby guaranteeing a high quality but still light-weight protection so they do not add to the weight of the garments placed inside. 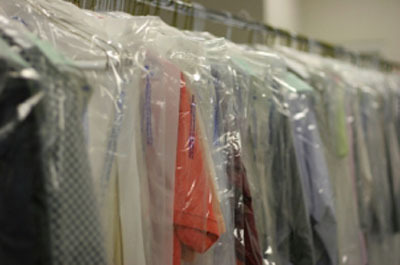 Gowns, onesies, tuxedos, pants, blouses, skirts, suits, and all other types of clothes can be effortlessly sealed inside the poly bags because they can be custom-designed to provide enough coverage for the garments. So that by the time they reach their destination or be held by their new owners, these high-valued garments are still in perfect condition. Aside from making it easier to transport the garments, these poly bags can make displaying items a breeze as they come with hanger holes and shaped shoulders. To find out more about the other applications of poly garment bags, contact Atlantic Poly. The commercial applications for plastic bags here in Providence, RI is not limited to packing goods in grocery stores. They are routinely customized in larger sizes and darker colors for industrial applications. For example, they can be used as liners to fit the drum’s size and shape precisely and provide protection to any dense or viscous materials that will be placed in them. The Drumskins drum liners have sufficient material that enable them to be folded over the lip of the drums, or tied off for either shipping or storage. With these drum liners readily accessible, people working at industrial plants no longer have a hard time dealing with high-valued liquids, preventing them from spoilage and spillage, or other unwanted events during processing and delivery. These industrial-strength hefty drum liners are molded to tightly fit the container which allows for complete protection of stored products. They are leak-proof which means they are ideal for packaging paints, inks, adhesives, varnishes, sealants, solvents, and other chemicals. The best part is that, while these drum liners protect the materials stored in them, they also help in extending the lifetime of the drums and large pails by reducing wear. Some people think that these liners are just additional expense when in fact there are more advantages to having them in place as they will decrease the time and cost associated with cleaning and reconditioning drums and pails. To find out more about customized plastic bags and hefty drum liners, contact Atlantic Poly. Does your business frequently handle and/or ship fragile items? When you need extra protection when packaging these items Atlantic Poly Inc’s Poly Bubble Wrap is an excellent material to use to protect both your product, your reputation, and your profitability. American businesses of all sizes and types stock polyethylene bubble packs because they are extremely effective in securing merchandise from damage caused by shock and vibration. Extremely vulnerable items such as glass and electronics require additional care in handling and shipping. Bubble packs can serve as a cushion wrap to prevent dents and breakages when items are accidentally dropped or fell from their shelves. Bubble wrap is easy to use while simultaneously reducing packaging and labor costs. It is extremely lightweight and will not add significant weight to the final shipped package. Contact Atlantic Poly Inc. for sizes and prices on this high quality, transparent protection for fragile items. If you ship agricultural products, the single best value in poly agricultural film is sourced by your trusted friends at Atlantic Poly. For decades we’ve supplied farmers and farming companies with the the ideal protective sheeting necessary to ensure quality end-to-end delivery of American produce. Shipped produce requires protection from a multitude of human and environmental threats that threaten the quality of the delivered product. Our poly sheeting sourced out of Boston, MA serve the entire agricultural industry in multiple ways. Of course at the top of the list is improved food quality at the destination, but farmers understand the importance of lowering the ecological footprint of their commercial activities. Our poly products are made from durable polyethylene plastics that can not only combat harmful UV radiation but are also 100% recyclable. 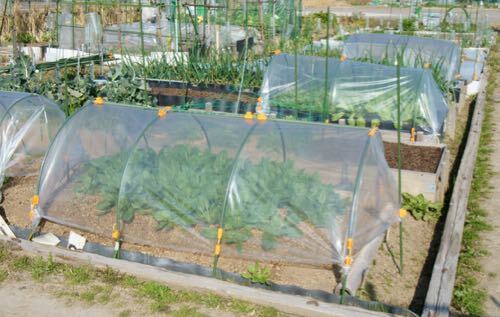 Atlantic Poly's polyethylene are used during the growing process as well and delivers the environmental protection that fruits and vegetables require regardless of the season. If you seek the absolute best in quality and value for your agricultural poly needs, contact Atlantic Poly, Inc. The health of employees dealing with hazardous chemicals is significant. The Occupational Safety and Health Administration (OSHA) demands strict safety countermeasures to be employed when workers are subject to spills and contamination. Proper containment of these substances must be stringently implemented to meet OSHA requirements. One way to safely contain and dispose harmful and contaminated materials is using durable drum liners. DrumSkins drum liners provide protection and security to the workplace. In industrial facilities that handle viscous chemicals, those that handle chemicals rely on the toughness of this liners. They can't be easily torn and fully viscid substances such as fuels, oils and other sort of sticky materials. 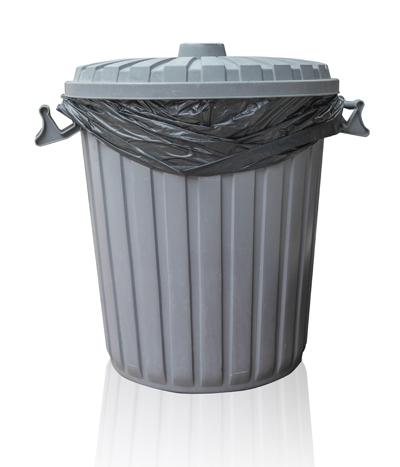 Polyethylene drum liners are perfect material to prevent spills and leaks of harmful chemical products or wastes which can be perilous to environment and human health. Poly Drum liner is an affordable and earth-friendly means to contain industrial byproducts and wastes. Atlantic Poly Inc., can supply your poly drum liner needs in small or large quantity. Contact us today! 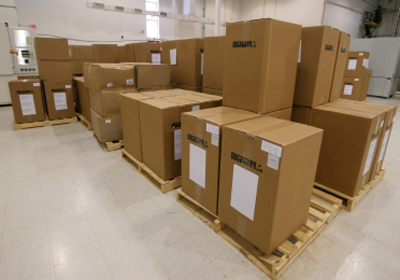 How you package, store, and ship merchandise warrants careful consideration. Whether you’re moving items into a warehouse or onto trucks, trains, ships, or planes, look no further than corrugated boxes from Atlantic Poly. External factors (primarily heat and humidity) can damage your goods. But if you enclose them inside a durable box, you can prevent it from these damaging elements. Corrugated cardboard boxes are made striated fiberboard with one or two liners. They are much stiffer, durable, and environmentally resistant as compared to flat fiberboard. Corrugated boxes are available in different dimensions and thickness to accommodate the varying degrees of protection that you need. Our corrugated boxes made here in Providence, RI are ideal packaging solution for shipping companies and courier services because they are lightweight yet very strong. They won’t add significant weight and cost to freight. Equally important, they’re protective qualities remain strong even under compression, motion and vibration. Contact Atlantic Poly Inc. for all your high quality corrugated cardboard needs. Polyethylene tape is a multi-use business tool. It serves as effective indicator material? It serves an effective binding agent and as a sealant. If your business requires all of these functionalities then Atlantic Poly’s polyethylene tape is the answer. When you need a durable material for various applications (such as binding, sealing, wrapping, bundling, protecting, moisture-proofing, and splicing) poly tapes will serve you well. They remain fully functional even in the most harsh environmental conditions because of their moisture resistant properties. Consumers have wide array options in terms of dimension, density and sizes to meet their company's unique demand. In addition our poly tapes precisely conform to the objects that they are affixed. Our poly tape will not detach regardless of the types of surfaces the tape is employed to bind. They come in different colors so they serve as indicators for coding and safety identification. 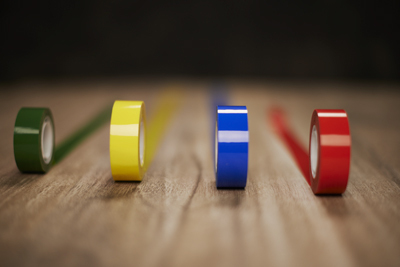 You can easily sort items with this colorful poly plastic tapes. To find out more options that suits your application, contact Atlantic Poly Inc. If you require durable packaging material that can adapt to fit any item, our gusseted poly bags are a perfect consideration. 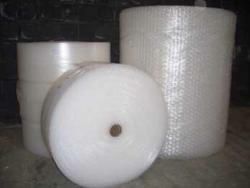 These poly bags are widely used in various industry due to its versatility and easy-to-use feature. It can also be used to store and display items. Polyethylene bags in Boston, MA are both safe and hygienic. They are made from 100% Virgin Low Density Polyethylene resins and are FDA and USDA certified. They accommodate both small and bulk items given pliable sides and bottoms. No matter how large or irregularly shaped your shipped items are, these bags will serve you well. 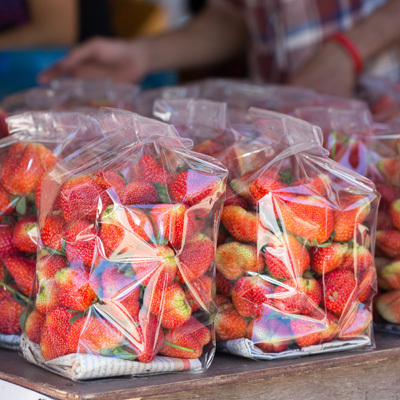 Many industries are stocking up and using poly bags because they are lightweight, affordable and unlike bottle jars or containers, they don't break. They can keep the products they contain in perfect condition. Additionally, because gusseted plastic bags are pliable, they don't take up much space in shelves and storage spaces so they help you maximize warehouse space. With numerous options for sizes and densities, many businesses are now using gusseted poly bags for packing and storing various products. Looking for high quality gusseted poly bags, contact Atlantic Poly Inc. Businesses that regularly deal with hazardous chemicals or infectious wastes should always stock up on poly drum liners. These plastic liners serve as an extra protective lining inside your waste containers. When disposing of toxic chemicals, paints, debris, and hazardous waste, this waste needs to be securely contained while working and during disposal to prevent contamination. A benefit of Drumskin drum liners is that they are made with premium quality plastic with anti-static properties. This makes them an excellent liner for flammable material as well. 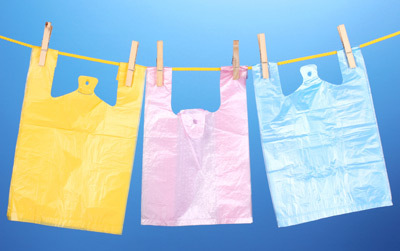 These plastic bags are relied upon by many facilities for storing varieties of solids or liquids that may be harmful. Apart from that, these drum liners feature elastic strength so they won't easily rip, making them ideal drum liners for holding fluids and other viscous materials. Drum liners in Hartford, CT vary in size and thickness, and can significantly reduce the risk of contamination in your facility and the environment. Contact Atlantic Poly Inc. for customized sizes specific for your application.